First female NFL coach graduated from Sebastian River High School in 1996. SEBASTIAN – The first female NFL coach, Dr. Jen Welter, will be returning to the Sebastian River High School on Friday to crown the Homecoming King and Queen. Dr. Jen Welter graduated from Sebastian River High School in 1996. She will also be recognized as a “Notable SRHS Alumni” at the game. 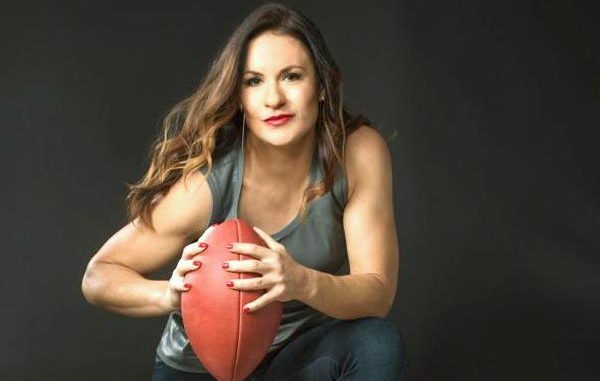 Dr. Jen Welter served as a linebackers coach for the Arizona Cardinals, a period of time defined by the bond she has formed with the players. Widely known as a trailblazer and pioneer in professional football, becoming the first woman to coach in the NFL was only her most recent first. In 2014, Welter became the first woman to play running back in a men’s professional football league. 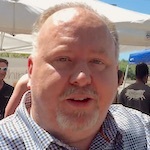 In early 2015, Welter was hired as the first female coach in men’s professional football, helping coach the most successful Revolution season in franchise history. Welter had a highly decorated 14-year career in women’s professional football which included four National Championships and two gold medals as a member of Team USA in the 2010 and 2013 International Federation of American Football’s (IFAF) Women’s World Championship. In her own words, Coach Jen often says, “sports have the power to change the world.” With that philosophy as a guiding principle, she has become an innovator in the sports and fitness space. She is known for looking at the game of football differently and has designed programs to increase access and opportunity to and through football. Dr. Welter is on the Advisory Board of the Pro Football Hall of Fame’s Game for Life Academy and an Ambassador for the She is Campaign. She holds a doctorate degree in Psychology, a Master’s in Sport Psychology, and a Bachelor’s degree from Boston.